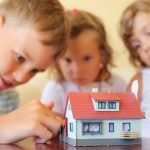 6 Benefits for Boys When Playing With a Doll House - Fun! 6 Benefits Of Dollhouses For Boys – So Many Great Reasons To Get One For Your Little Dude! Boys naturally have a nurturing side the same as girls. However, applying gender stereotypes often diminishes this side of their personality as they are often encouraged into pursuits that involve rough and tumble or focus on activities such as construction and playing with toy vehicles. When boys play with a boys dollhouse and dolls, either alone or with other children, it brings out their caring and nurturing side. This teaches them to be empathetic to other people. While there are many toys available that are clearly targeted at boys, these do not necessarily suit the interests of all boys. Some boys prefer to play games that involve an element of ‘let’s pretend’ and enjoy activities that involve creating roles for characters. If these are the types of activities and games that captivate your son’s interest, then a dollhouse for boys is possibly the perfect toy to cater to his interests. Enhancing existing social skills and learning new ones is a normal part of a child’s development. Each child will develop these skills at a different rate. While some children will have no problem communicating with other people and adapting to different social situations, for others this is quite a hurdle to overcome. 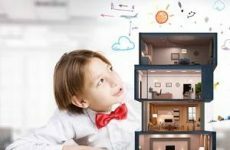 If you are worried that your little boy is having problems in the area of social development, then a dollhouse for boys is the perfect way to encourage them to develop these skills. If they are playing with the boys dollhouse with other children, they will also learn about taking turns, working as a team, sharing ideas and listening. One of the greatest benefits of having a dollhouse is that they give children endless hours of fun. By choosing a gender neutral dollhouse, it can give both boys and girls the same amount of pleasure. It is not just the acting out scenes that delight children; it is also rearranging the dollhouse furniture in such a way that it pleases their personal tastes and also allows them to create the scenarios they want. Children have new ideas all the time, so this is not a toy they will play with just the once before discarding. Dollhouses for boys are a toy that encourages children to use their imagination and enhance their creative streak. They will use their life experiences to create ‘let’s pretend’ scenes with their dolls, dollhouse furniture, dollhouse accessories and other children. Adding the furniture and accessories allows them to express their creativity and design the house in their own way. Children will also think about their future aspirations during their play as many of the scenes they act out relate to what they want to be or the experiences they want to have when they reach adulthood. An important area of physical development is motor skills. These are divided into two categories; gross motor skills and fine motor skills. The former is larger physical actions, such as running or catching a ball. The latter is smaller actions, such as writing or playing with small objects. As a dollhouse has many small parts, such as the furniture and accessories, playing with a dollhouse can help a child to develop their fine motor skills when they are rearranging the interior of the dollhouse or moving their small dolls around to act out different situations. Dollhouses are definitely not just a toy for girls to enjoy as they have all the same benefits for boys. There are some fantastic boys dollhouses available, so you do not necessarily need to choose one that is clearly marketed towards girls. If you are a parent of both boys and girls, you may prefer to opt for a gender neutral dollhouse. These are a great toy for your children to share and a way for your children to play and have fun together.